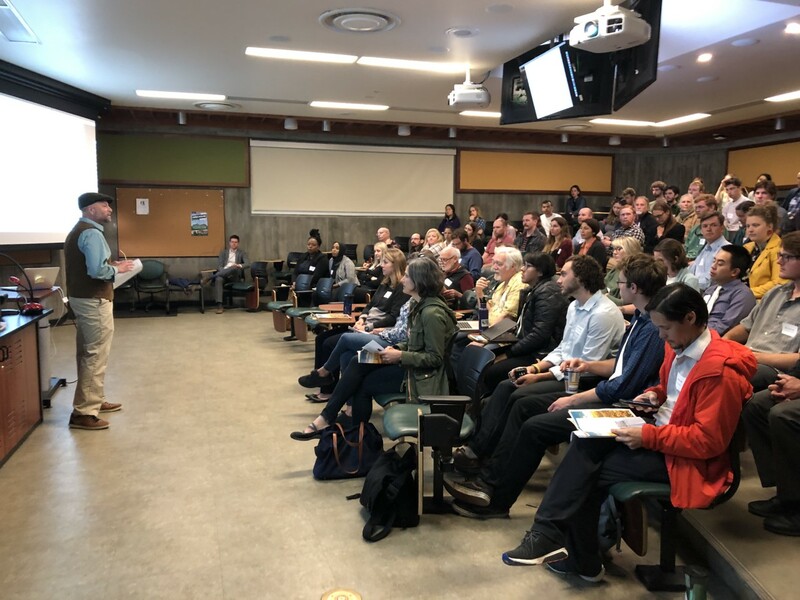 Graduate students organized the first graduate student meeting in 1973 for the purpose of encouraging graduate students in botany from throughout the state to get together and discuss their current research interest and ideas. 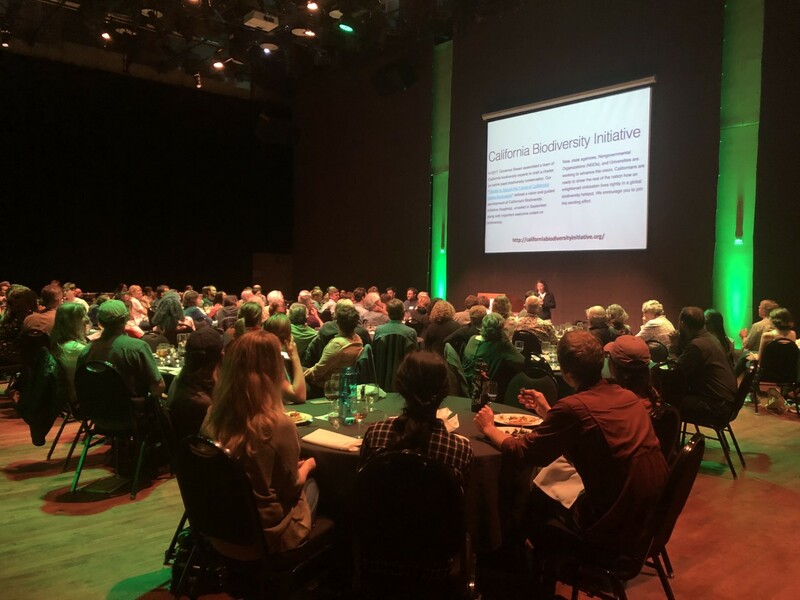 Since then, the California Botanical Society has supported this event, holding a Graduate Student Meeting every other year in conjunction with our annual banquet. 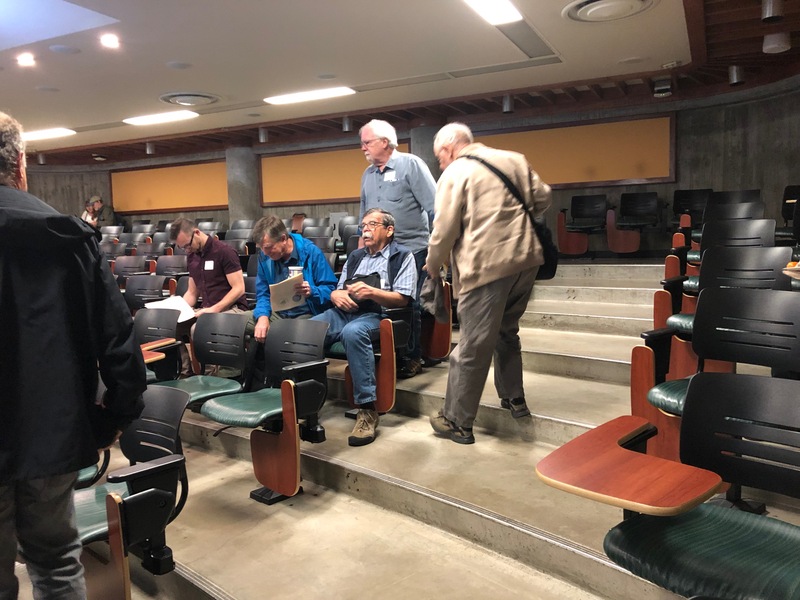 These meetings are an excellent way for students to become familiar with current botanical research and to network with a diverse community of scientists. Registration in ground floor lobby. at the corner of North Perimeter Road and Village Drive. 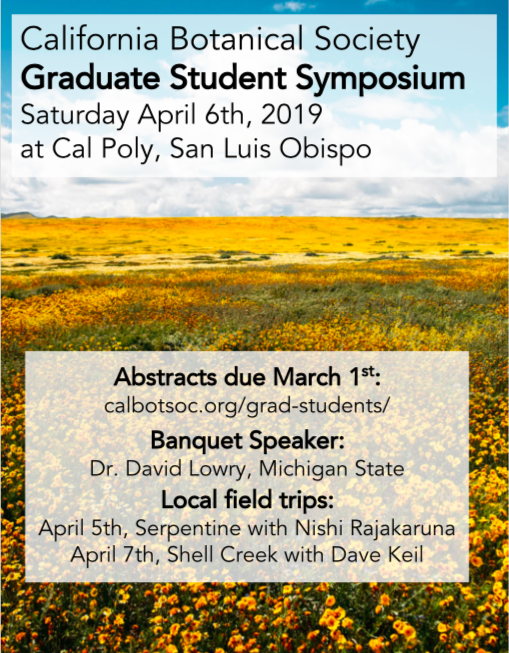 Please join us on Saturday, April 6, 2019 at Cal Poly, San Luis Obispo for the Society's annual banquet and the 27th Graduate Student Symposium. The Symposium is open to the public. 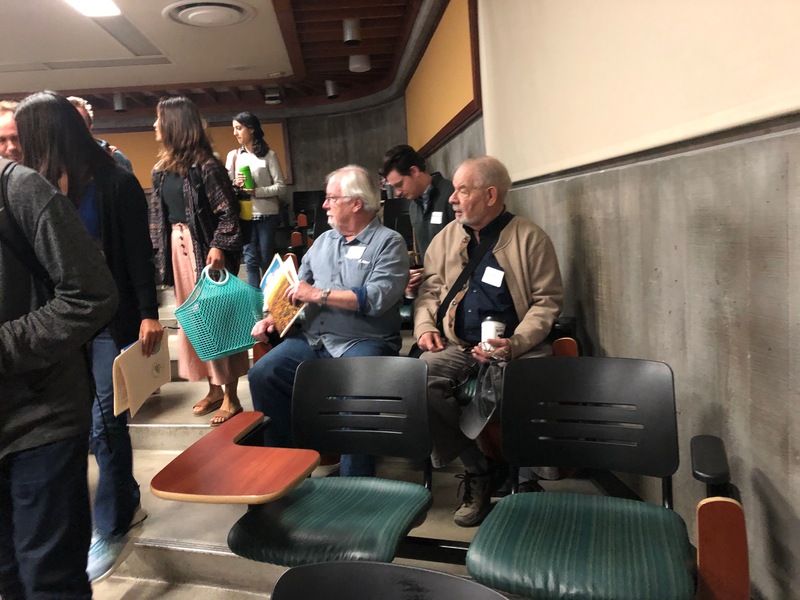 Those registering after April 3, 2019 should bring their own lunch. The Society's annual banquet will follow immediately after the Symposium, with a keynote address by Dr. David Lowry entitled "“Mechanisms of local adaptations to California’s coastal and inland habitats in the yellow monkey flower.” Dr. Lowry is an Assistant Professor of Plant Biology at Michigan State University. 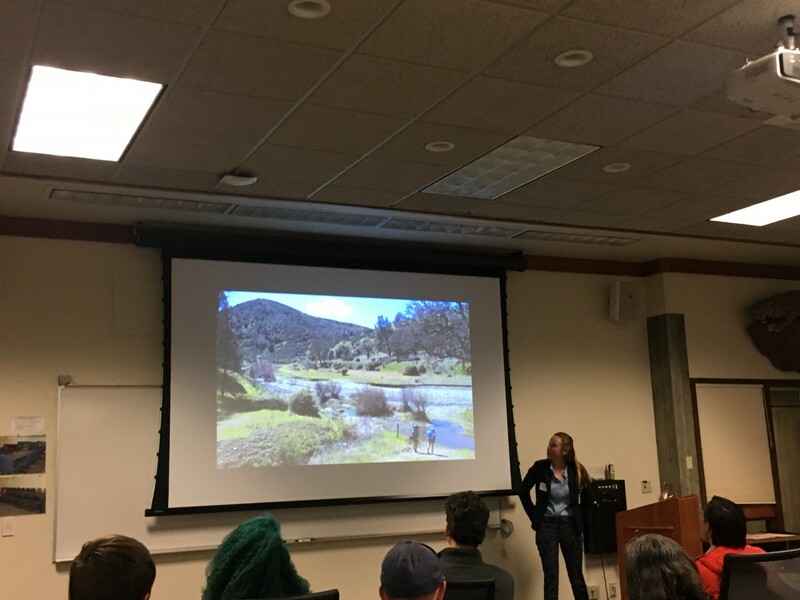 on the Cal Poly Campus at 1 Grand Ave. Parking for the Banquet: Lot G-S on Grand Ave.
We have prepared a list of several area hotels and other alternative accommodations, including camping sites you may want to consider. 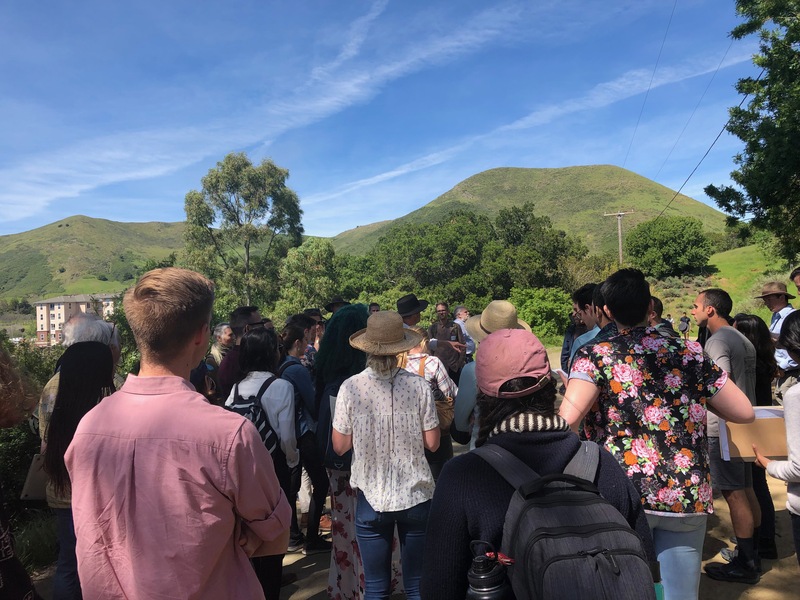 The California Botanical Society is pleased to offer several $150 travel grants to eligible students who are members of the Society. 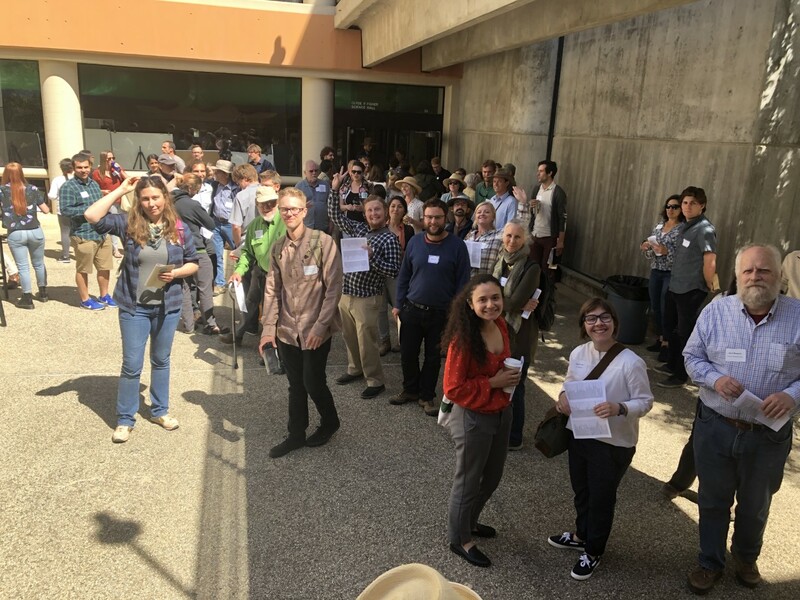 Recipients will be randomly selected from the pool of eligible applicants, with preference given to students coming from outside San Luis Obispo County. 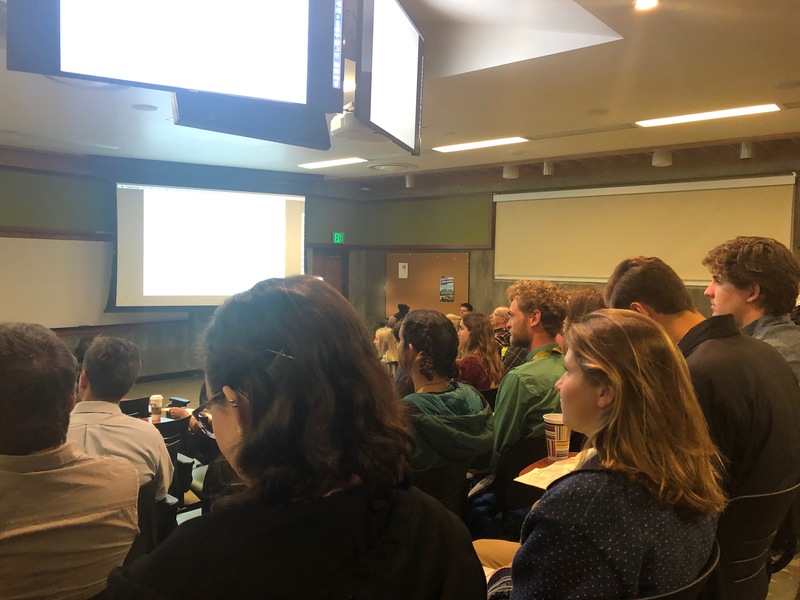 You must be presenting your research at the Symposium. 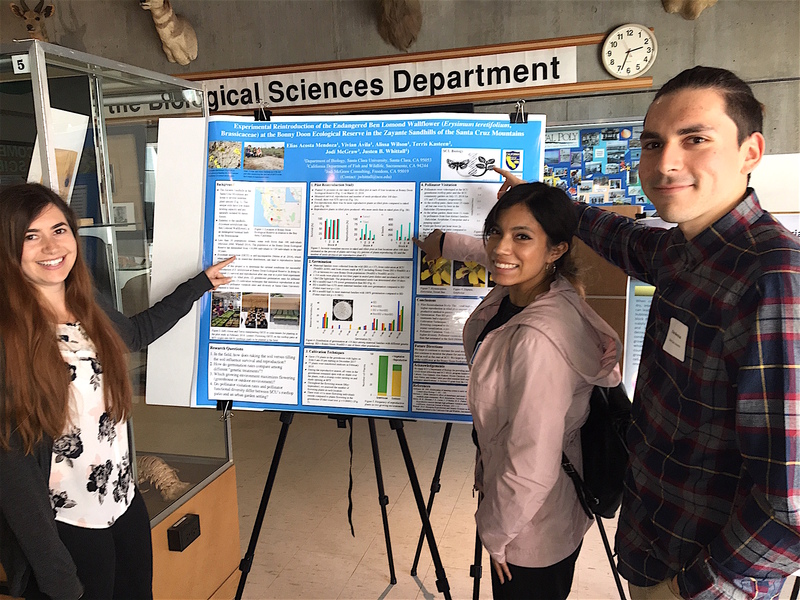 Students who were awarded a travel grant may pick it up on April 6 at the registration table.